Understanding Development offers a comprehensive introduction to the multidimensional and evolving nature of international development in the contemporary world. This new edition has been fully revised and expanded to incorporate the key events, trends and debates that are shaping development today, such as humanitarianism and the global refugee crisis, the growing number of fragile states, and the contested nature of trade and trade deals. Building on the book's original framework, the second edition also includes three new chapters which explore development in relation to global policy formation, focusing on the end of the UN Millennium Development Goals in 2015 and the start of the UN Sustainable Development Goals, which will run until 2030. Designed to offer something different to the standard introductions to the topic, this issues-driven text examines the debates that have generated the most interest and passion among practitioners and non-practitioners alike. Always attentive to the contested and plural nature of the field, it makes the case for a genuinely interdisciplinary approach which takes full account of the impact of globalization. Both wide-ranging and critical, Understanding Development is the essential student guide to one of the most challenging subjects of our age. Dr Paul Hopper lectures in humanities, with a research focus on the politics and cultures of globalisation, at the University of Brighton. · Who are the UN peacekeepers? · All of the different aspects of international development have been updated. · New graphics and tables. 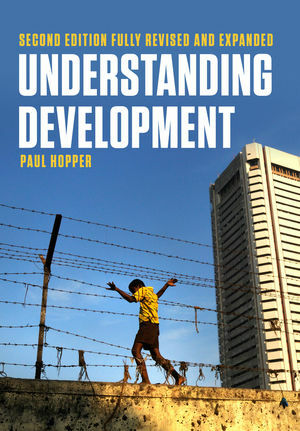 "With three new chapters, this revised and updated edition of Understanding Development is essential reading for anyone wishing to explore the intersection of development, globalization and politics in the contemporary world. Paul Hopper offers an interdisciplinary perspective on vital themes, from poverty to international migration and humanitarianism, drawing from a range of academic and policy materials."